Mitchells Solicitors specialises in succession planning, including wills, trusts, estate planning, estate litigation, will disputes and estate administration. What should happen to what I own when I die? What if I lose my mental capacity before I die? Our estate planning service will provide you with peace of mind after finalising your will and making any other necessary arrangements. We also ensure that following your death, those who will administer and benefit from your will are more likely to enjoy peace of existence. What if I own an asset with someone else? Because your will can deal only with what you own when you die, you should be aware of the significance of owning property jointly with someone else. If you have a joint bank account (and it’s not a partnership account), if you own real estate as a joint tenant (or owner) or if you own other assets such as a car, boat, caravan or shares jointly with one or more persons when you die, the long-established right of survivorship applies to such jointly owned property: upon your death, your surviving joint owner or owners will automatically become the owner or owners of that particular property. This means that jointly-owned property should not be provided for in your will. The moment you die your interest in such property effectively disappears, and legally passes to your surviving co-owner or co-owners. Superannuation cannot be dealt with under a will. Although you may have a substantial investment in superannuation, or have included a death benefit via a life insurance policy within your superannuation arrangements, your will cannot specify what happens to such entitlements upon your death. These must be dealt with outside your will, but within the context and certainty of sound estate planning. If your superannuation is ignored and not dealt with in a correct legal way, benefits may pass to certain persons in a less than predictable way when you die. What happens to assets held in trusts when I die? People may have private companies and trusts arrangements set up for tax and other reasons. Be aware that your will cannot dictate what happens to a trust or to a company. Such entities should be provided for outside your will, but again within the context and certainty of sound estate planning. Is there any way I can prevent a dispute over my will after I die? When making or changing your will, careful consideration should always be given to trying to prevent later emotionally and financially costly estate battles disputes. This is particularly the case if you have children from previous marriages or relationships. 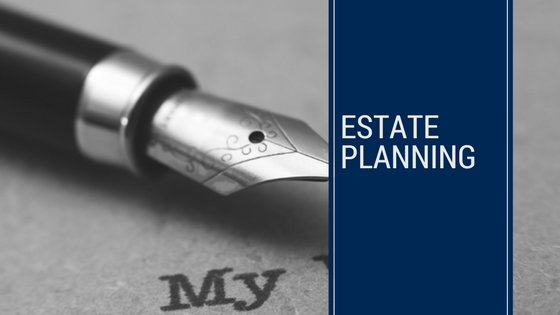 Depending on your family and relationship circumstances your estate planning may need to include some arranging your affairs outside your will. If you wish to provide in your will for family, friends or others who are disabled, are in high risk occupations, engage in somewhat dangerous sports/activities or are unfortunately in failing marriages or relationships, your estate planning should ensure your intended provisions for such people are not frustrated. At the same time you would most likely not want your intended provisions managed by people you don’t know or trust. Will my estate have to pay tax when I die? There is no sense in making or changing a will which could increase the amount of tax payable to the government after you die. We look at ways to legitimately minimise tax. These may involve determining how assets are allocated to certain persons and using trusts. In summary, our estate planning for clients will look at your entire circumstances to ensure peace of mind, peace of existence and minimal tax. You can find out more at our specialist service, Estate Battles. We offer a FREE, 10-minute phone consultation.